They say the best things in life are free, but did you know that the healthiest things in life are free too? ALOHA makes easy-to-follow programs to bring you the purest (and most delicious) products imaginable, and we’re giving you the chance to try it…for free! And the most exciting addition to the ALOHA family of products? The ALOHA Detox Program! It was developed with a registered dietitian to help you cleanse your body of all the “fun” you had this summer (Piña Coladas and burgers ring a bell?). Cleansing shouldn’t be something you dread — in fact, staying nourished and satisfied while you detox is actually healthier. The ALOHA Detox Program gives your body everything it needs to properly clean-up, without stressing your system. 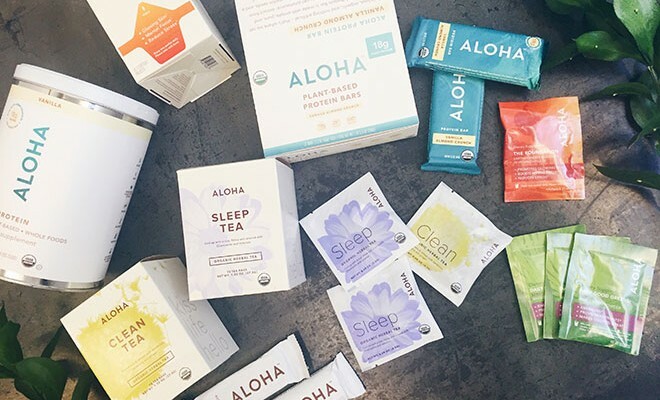 Get 30% off your entire purchase here or snag a free trial of ALOHA here!